U zult genieten van het prachtige uitzicht over het kanaalwater dat u vanuit de erker van de woonkamer kunt bewonderen ..
Anna Frank huis is een steenworp afstand, de beroemde biologische markt van Noordermarkt is ook vlakbij. Boodschappen, Essentials, fietsverhuur, restaurants, cafés en de tram zijn allemaal op loopafstand. U hoeft niets mee te nemen, want alles is aanwezig: shampoo, douchegel, handdoeken, bedlenlen. Al onze gasten hebben genoten van hun verblijf en hebben ons van harte geadviseerd. Shampoo, body-gel, badhanddoek, haardroger en ga zo maar door. The scaffolding across the front window was unfornate and the view will be much better without it. The canal in front is not a main one with lots of boat traffic to watch, but pretty nonetheless. Recommendations for places were excellent, especially the nearby Hummus Bistro. The apartment was spotlessly clean. Although the alartment was not fancy, the kitchen was extremely well-appointed, very well-lit, and a joy cook in. The living area was roomy, but coukd definitely use an extra lamp or two. Therre was only one which provided little light for reading or playing cards. Both the bed in the bedroom and the bed arrangement in the living room were vry comfortable. Because of the minimum stay, we had to pay for a night not stayed. The six-night minimum was longer than we usually experience and there was no flexibility. We are former VRBO owners who were very flexible with guests , so this was a drawback for us. We were in he apartment on New Year’s Eve and Dries had left a bottle of Champagne for us - a very thoughtful and welcome gift! 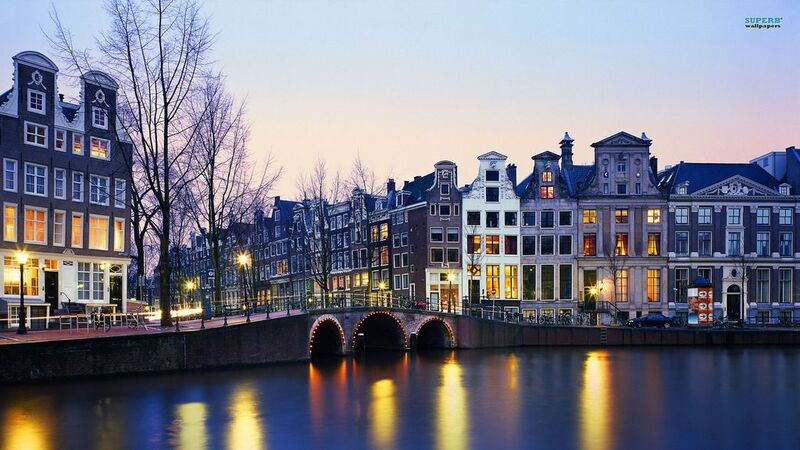 Quiet, convenient, everything you need to enjoy your stay in Amsterdam! We had a wonderful time while in Amsterdam at this apartment. Anne Frank and tram stop was about 7 min walk away. Others were 5-8 min walk. Easy access to everything, including 2 grocery stores within 3-4 min walk. Owners made arrangement to meet us early in morning after all night flight which was greatly appreciated and convenient for us to drop our luggage. They also helped us with tips and advice. Everything we needed including things we didn’t expect were already there. Comfy beds and hot shower! All appliances worked perfectly. Would definitely stay here again! Great apartment in a fantastic location! Jessica and Dries’ apartment is comfortable and in a perfect location a short distance from many of the top attractions in Amsterdam, as well as being situated in the beautiful Jordaan area. Would highly recommend! The property was clean, comfortable, and quiet. This is great place to stay if you want to be in an area that is quiet at night. it is close to the nine streets shopping and Anne Frank house. One thing that really impressed me was that our plane arrived at 8:00 a.m. and the owners were there to meet us at the apartment when we arrived at 9:15 a.m. We were able to check in and rest after our overnight flight!!!!! Booking process easy and no issues. Meet up at the apartment was smooth, despite us being early. Flat was a good lay out, had all we needed. Found the location to be perfect. Jordaan is de meest artistieke en pittoreske wijk van Amsterdam. Je zult veel monumentale huizen, museum, tuinen, biologische markt (noordermarkt), Anna Frank huis en ga zo maar door. Je wordt omringd door grachten en het huren van een kleine boot om te gaan sightseeën maakt deel uit van de ervaring.